Over the past fifteen, or 20 years, some parts of the male population has actually been returning to the cave. I don't know why this is happening, but more importantly, why it is being allowed to happen. The "Man Cave" has become an essential place for men to look for when buying a home, or build into an existing home. The Man Cave is a room that some men feel is as important as a kitchen in a home. It is their refuge. Hiding place. The Castle Keep. A place that men will withdrawn to, and if they are available, take their friends with them. The family is left on the outside of the cave walls. The spouse becomes the defender of the mans cave time by restricting the children from entering, fielding phone calls, doing everything else the man is not doing while he is putting calluses on his thumbs playing Warcraft 3 with his posse. Since when has one half of a relationship been given a "Get Out Of The Family" free card? We all grew up playing in secret forts we built in the woods when we got to big for the blanket over the chair in the dining room. Some of us built tree forts that were our escape pods from little sisters, lawn mowing, and the pressures of elementary school. Our forts were our havens. We felt safe, secure, and masters of our world when we were in them. We found other ways to zone out, escape, and get away from the stresses of everyday life. A weekend away, working out at the gym, going for a run, or building a picnic table. Anything to take our minds to a place that is free from stress, allows us to decompress, and relax is a "fort", or a cave. This is something one does not need to do alone. On the contrary, if one is in a relationship, then it would be a good thing to "decompress" together. Having a designated place, behind closed doors that is solely for one person in the relationship is not a good thing, or healthy thing for the relationship. Now, not all men that have a pool room in the basement, or a bar in the family room, are cave dwellers, but those that go to their rooms without being sent, and staying there for hours with little or no contact with the other creatures that they live are most definitely cave dwellers, and they are doing nothing more than hiding. Hiding from being a grownup, and all that comes with it, and leaving the responsibilities of living, and coping with life to their partner is not the way most of us grew up. Yes, the dad's of my generation played cards with the boys, had a few drinks doing it, and went away on fishing weekends with the guys, but for the most part, the hammock was the furthest they ever go to real alone time. I wonder what would be the response if women looked for a room just for themselves. A room beyond the typical "craft / sewing room" they are often saddled with by Realtors showing off a property. "Oh, this little room at the end of the hall? That would make a great craft room for mom, doncha think?" What if woman had a room solely for them that was for workouts, yoga, doing shots with the girls after work, or a book club to discuss works such as "Fifty Shades of Grey"? What if that room was on the must have list when searching for a home just as the cave has become as necessary as air to some? I know that not all men demand a cave, however when watching those House Hunter shows on HGTV, it seems that most of the men on those shows have their cave right up there on the list beside running water, and electricity. Wait a minute..., the women don't react negatively to this cave quest, in fact, they encourage it, and the further the room is away form the main part of the house, and in its own place, the more it is encouraged. It's not so much a place for men to run away to get away from it all as I had thought, it is ultimate "everything has a place, and everything in its place" dictum stealthily encouraged by women. The man is led to believe it's all his idea! Would having a house to themselves without the TV blaring, video games rumbling, or MP3's shaking the plaster off the wall be a good thing? Ah, yes. Yes, it would be. Women are brilliant. A bit scary when you think it through, but still, brilliant. For those men, or women that don't have space in their home for that needed retreat, or time out room, depending on your perspective, you can have one built, and delivered to your yard. This may save a lot of relationships. http://www.instantmancave.com --ed. I understand why those that design traffic patterns do what they do: safety. Safety is the primary concern. Safety is the reason that when one is done pumping gas at the new Sturbridge Gas Station on Route 131 across from the shopping plaza one must turn right on 131 and head towards Southbridge, even though one may live on New Boston Road. The road in front of the gas station is set up to allow through traffic, and turns in front of the plaza. 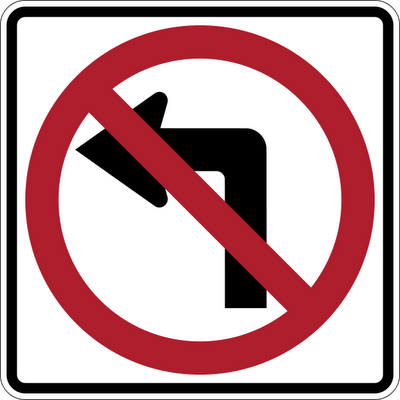 A raised, ridged concrete median is directly in front of the gas stations exit preventing left hand turns back towards town, and a sign at the exit states the same, no left turn. It's all about the safety. Now, where elements of safety are often installed, such as in front of the gas station, and those elements inconvenience folks by forcing them to go in the opposite direction from where they want to go, we all know what happens next: people find a work-a-round. Somewhere very soon after turning onto Route 131 that driver is going to find a place to turn around. I did. I turned into Shepard Road, and then headed back towards Route 20. It was either turn there, or in one of the business driveways further down 131, and then flip around. Needless to say, that was only a bit inconvenient, but something I would not want to do on a regular basis. I predict that there will be issues in the future along this stretch of 131 related to people wanting to head back towards the Common. What to do? Insist that people drive to Fiske Hill road, or Wallace Road and follow those roads in the other direction? Well, we know that isn't going to happen. I don't expect there will be a high volume of turn around traffic, but it is something to be aware of, and maybe some traffic flow folks can come up with a solution. Observations lead to discussions, and discussions can lead to solutions. I observed, experienced first hand, and now I'm passing the baton. There was a time I flew out of Logan Airport in Boston all the time. In the late 1980's I discovered Greene Airport in Providence, and shifted my allegiance to them due to their lower fares, and less frightening traffic patterns. Since I've been in Sturbridge, I've encouraged relatives to fly into Bradley Airport in Windsor Locks, Connecticut, and have flown out of there myself for the very reason I enjoyed Greene Airport: it's intimate setting, and fares are often very competitive with the other regional airports. Price, and a non-frightening drive in and around the pick-up and drop-off areas were all excellent reasons to use Bradley, and this past week I found one more, probably the best reason of all. There are three main ways to get to Bradley Airport from Sturbridge. One can drive west on I-84 for 51.6 miles, and spend 57 minutes on the highway at 75 MPH with a few thousand other people, or drive I-84 to Route 5 for 48.6 miles and spend one hour and 5 minutes with a different thousand, or so, people at 65-75 MPH. Highway driving is something I do all the time, and I don't mind it, but if I can get to the same place an interstate will take me and spend only a few more minutes doing it by avoiding the highway, then I'm all over it. This is when I discovered what would happen if I took Route 19 south from Brimfield into Connecticut, and hopped on CT-190 to the airport. Just 45.6 miles for one hour and five minutes, only 8 minutes longer than if I took I-84, and the drive was the most relaxing drive to an airport I have ever had. Two lane country roads winding through small towns in Massachusetts and Connecticut. Miles of cornfields, church steeples, forests, country stores, ponds, and lakes. Much better scenery than what one finds on I-84 west. Traffic? None. Maybe a car, or two ahead of me for a bit, or one or two behind me for awhile, but most of the time I was on my own at 8:00 in the morning in the middle of the week. Next time you need to run to the airport to pickup your mother, or take the family to Vegas, take the less traveled route, and I will guarantee that you will arrive on time, and in a better frame of mind than if you had fought traffic on the interstate at 8:00 in the morning. The odds of your flight being delayed for a few hours are good, and this back road airport commute could be the best part of your trip. When the majority of residents favor an action, and it goes along with the way the Board of Selectman are leaning, then it is a rare, and very good thing. Walker Road residents know how they want their country lane to stay: just as it has been for decades. Yes, better drainage, pavement, and widening of the road would modernize it, and make it easier to maintain, plow, and navigate, but it would change everything. It would take a place that is, and turn it into a place that isn't yet. Folks on Walker Road bought their homes on that road partly because of the road itself. I was glad to read that both parties were in alignment. The decision to spend the funds on replacing the old bridge on Champeaux Road is a good one. I hope the new bridge is high enough to canoe under without lying down. Residents in agreement with the BOS, and wise spending seem a bit out of character for our town, but it may be the start of a new era. Let's hope. The fire chiefs request for renumbering the homes on the street, since they run opposite of the way the rest of the town is numbered, is a valid request. I can understand residents becoming attached to their numbers, but for safety sake they should follow the rest of the town, and if not, then large, well lit numbers should be posted on the exterior of the homes. Alignment, and wisdom prevailed this week here in Sturbridge. Let's see what next week brings. STURBRIDGE — In a 5-0 vote, selectmen last night nixed a proposed $600,000 improvement plan on Walker Road, with the blessing of many of its residents. In addition to removing 78 trees, the proposed plan would have transformed the existing gravel road to a paved roadway. The selectmen, as well as a majority of Walker Road residents in attendance, favored spending the Chapter 90 money on a more worthwhile project, such as replacing the 80-year-old Champeaux Road Bridge. Walker Road residents also were against the fire chief’s request for renumbering the 10 homes on Walker Road so the pattern is consistent with that of the majority of the town’s roadways. Currently, the address numbers run backward. Selectmen sided with the residents, although no formal vote was taken on the matter.